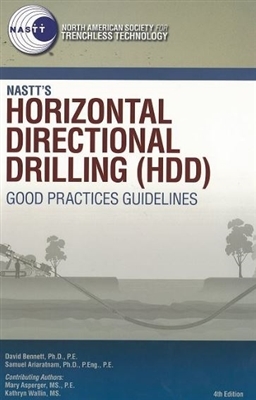 The Horizontal Directional Drilling (HDD) industry has released the fourth edition of its highly anticipated HDD Good Practices Guidelines Manual. Prepared by HDD industry experts, the Guidelines manual has served as the industry standard for contractors, engineers and owners in completing efficient, effective and safe HDD installations and in training operators and supervisory personnel. The latest version includes a new chapter on design, and other sections have been updated to include new developments in technologies. NASTT is a member of the HDD Consortium, which first published the Guidelines manual in 2001. Other consortium members include: the Directional Crossing Contractors Association (DCCA); Distribution Contractors Association (DCA); Association of Equipment Manufacturers (AEM); National Utility Contractors Association (NUCA); and the Power and Communications Contractors Association (PCCA). Dr. David Bennett and Dr. Samuel Ariaratnam are co-authors of the revision. They, along with Casey Como, were the principal authors of the original HDD Guidelines. 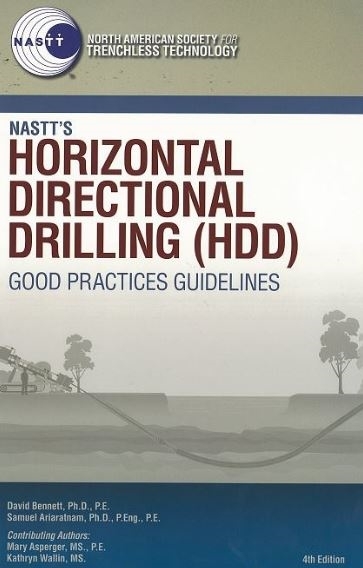 The Horizontal Directional Drilling (HDD) industry released this fourth edition "HDD Good Practices Guidelines" to provide contractors, engineers, and owners with an industry driven document prepared by experts in the filed. The objective is to provide contractors, engineers, and owners with a set of guidelines that will assist and allow personnel to have successful HDD installations by training operators and supervisory personnel. The Guidelines were developed by members of the HDD Consortium, which includes: the Directional Crossing Contractors Association; Distribution Contractors Association; Association of Equipment Manufactures; National Utility Contractors Association; North American Society for Trenchless Technology; and the Power & Communications Contractors Association. The Guidelines were written by Dr. David Bennett and Dr. Samuel T. Ariaratnam.